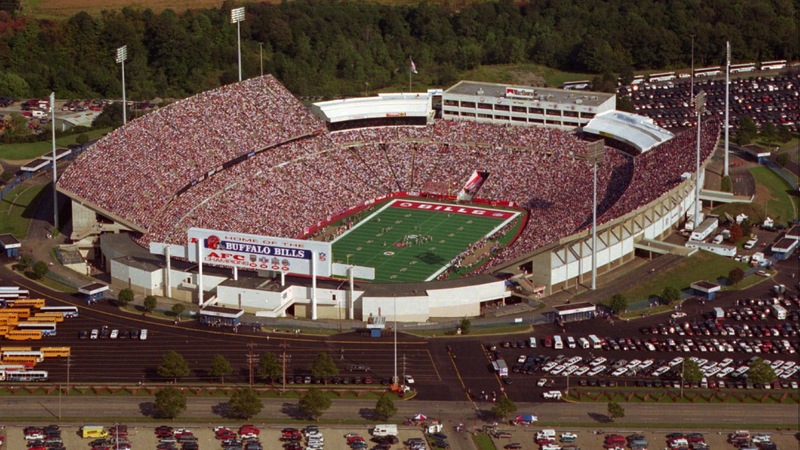 April 25, 1994: Bills' future in Orchard Park in jeopardy? While renovations at Rich Stadium continued, Erie County Executive Dennis Gorski was looking toward the end of the Bills' 25-year lease in Orchard Park. The Bills would go on to sign a 15-year lease to remain in the stadium in December 1998. The deal, which included renaming the facility Ralph Wilson Stadium, called for $125 million from New York State and Erie County public funding. More recently, a 10-year lease extension was signed in December 2012. That deal involved a total of $130 million being spent -- $35 million of it from the Bills -- on stadium upgrades. "County Executive Gorski and Bills owner Ralph Wilson agreed last Oct. 4 to do $23 million in renovations at Rich Stadium this spring. That work has begun. It also was announced then that the agreement committed the Bills to begin negotiations on a new lease in January. "That was 4 1/2 years before its expiration date in August 1998. But both sides confirmed this week that this has not happened."